“Elia” Restaurant offers delicious grills, seafood and healthy salads as well as daily fresh fish. 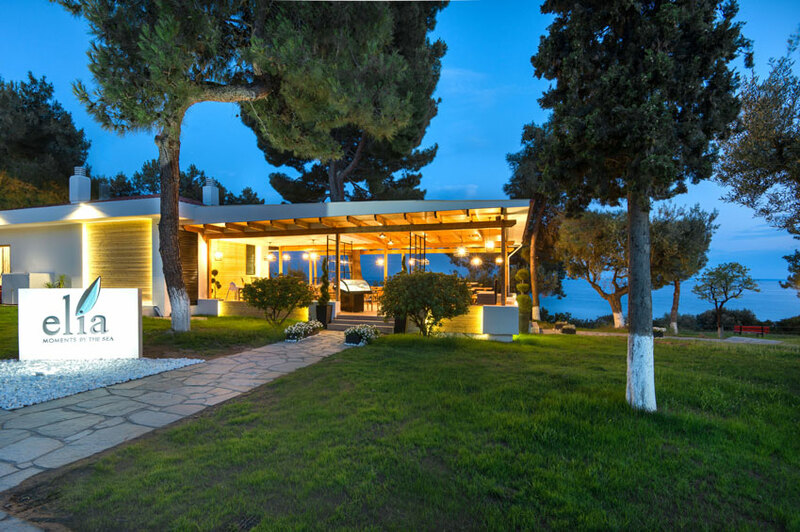 It is a fabulous, informal setting on the beach overlooking Toroneos Gulf. With gorgeous sunsets and cooling sea breezes it is the ultimate location for relaxation. “Elia” is open every day for breakfast, lunch and dinner. Continental Breakfast (served between 09.00 am and 11.00 am). Enjoy your lunch with a glass of ouzo. Ouzo is a delightful anise-flavored spirit with a licorice taste. It is served with at least one meze (small dish of food). 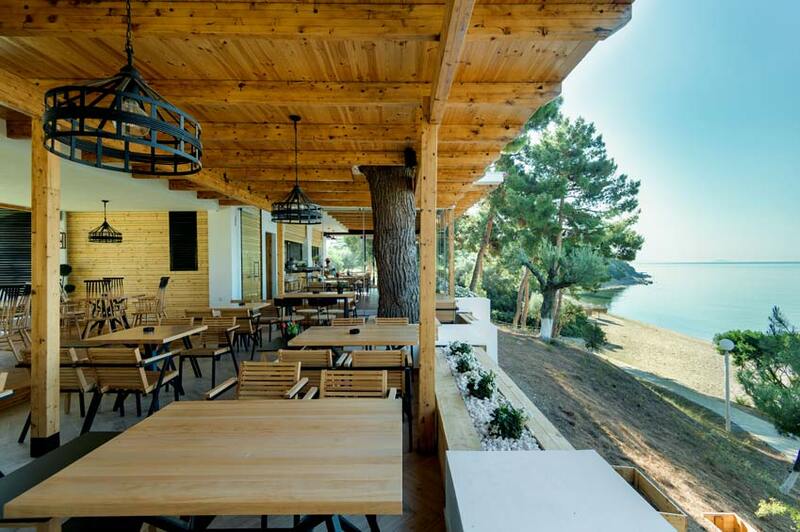 The restaurant offers a breathtaking view over the bay in the comfort of the sea breeze. Relax under the pergola and enjoy the Greek cuisine. 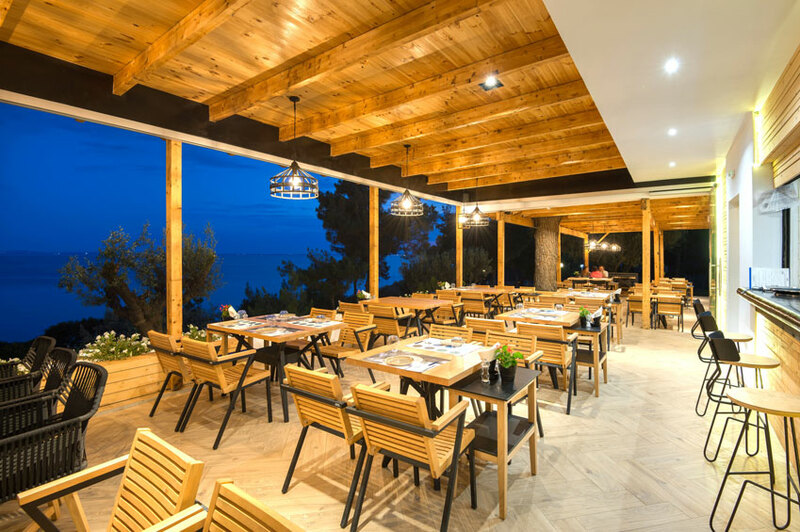 Trikorfo Beach offers a fabulous space by the beach for receptions, parties and excellent dining. “Elia” Restaurant can host from a discreet private party to a range of large scale events. 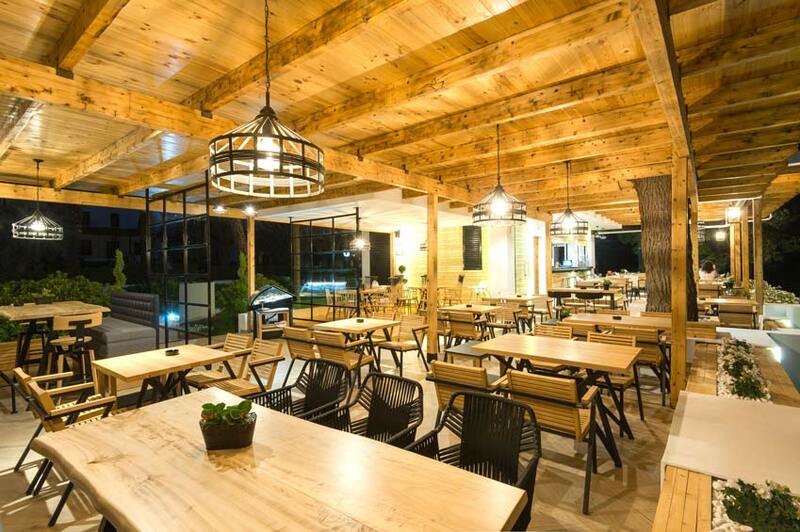 The tastefully designed space can comfortably seat 100 people and can easily extend into the landscape under the canopy of the pine-trees. WISH TO HOST AN EVENT OR PARTY?